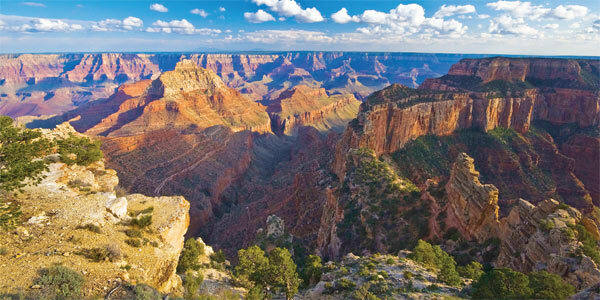 The Grand Canyon Family Vacations from Adventures by Disney offer a land tour package that features a tour of the enchanting red rocks of Sedona, Arizona, the Grand Canyon South Rim and the Colorado River in Moab, Utah. Whether you're traveling on foot, by jeep or on a river raft, you'll fall under the spell of the American Southwest! Climb aboard a 4x4 jeep for your very own Navajo-guided, off-road excursion to the beautiful buttes and magical mesas of Monument Valley. See the secret corners of the Valley and marvel at the geological wonders! Discover one of the seven wonders of the natural world as a naturalist guide takes you off the beaten path for a stunning Grand Canyon hike and drive along the South Rim. Soak up the sights of the spectacular landscape on an exciting yet leisurely Colorado River rafting (Class I-II) adventure for the whole family. Kick up your heels at a fun-filled cookout on the banks of the Colorado River! Meet a real cowboy and chow down on some down-home cookin'! Step into a surreal landscape dotted with sky-scraping sandstone land arches and hike to its crown jewel, the Delicate Arch. Learn the living geological history of a million years and marvel at mother nature's wild side. 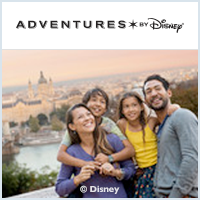 Upon landing at the Phoenix airport, meet an Adventures by Disney representative who will greet you and your family. Relax as your luggage is handled. As we are providing one group transfer, based on the final group arrival time, early arrivers may have time to spend at the airport. Then it's off to Sedona in our air-conditioned motor coach. Along the way, delight in a fascinating, one-hour stop at Montezuma Castle! 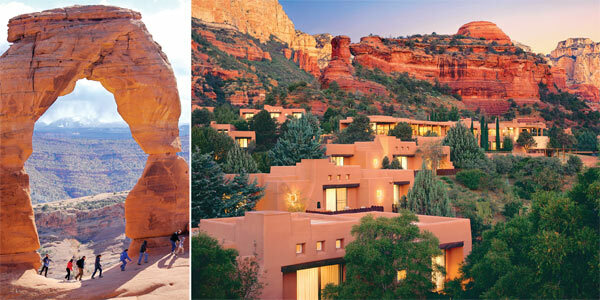 Check into your tranquil hotel, which is framed by red rock views at the doorway to Boynton Canyon. Relax until dinner and enjoy some of the resort's many world-class amenities. Tonight, say "Howdy!" to your fellow Adventurers at this welcome feast at the hotel. After dinner, let the haunting beauty of a Native American flute awaken your spirit as you gather around for a magical musical interlude. After dinner, let an astronomer be your guide to the celestial terrain as you gaze up at the spectacular tapestry of the Sedona sky. Discover the Milky Way as you have never seen it before during this entertaining and informative experience for all ages. Gear up for an off-road trek into the wide-open terrain of the picturesque high desert outback. Your heart will pound as you descend into the stunning Grand Arroyos and you won't believe your eyes as you climb up the other side! Relax with the family over lunch and revel in an afternoon on your own to explore the treasures of Sedona. Get the gang together to take a short ride to nearby Sedona and mosey around the shops and galleries. Or, enjoy the many hotel amenities that include a pool, pitch 'n' putt golf, tennis, steam room, sauna, meditation area, free bike rental, hiking trails, yoga/health and wellness classes and a world-class spa. * The possibilities are endless! Tonight, gather around and share the stories of your first day amongst the beauty of the red rocks. Your Adventure Guides will be happy to make arrangements for a meal at the hotel or in town nearby. *Additional costs apply to spa usage. Enjoy breakfast and embark on your journey to the Grand Canyon. Gather with your fellow Adventurers for a pizza feast just before you encounter the Grand Canyon! Travel to your hotel inside Grand Canyon National Park while taking time for plenty of photos along the way! Then, settle in and prepare for an evening celebration. Tonight, savor a Western BBQ dinner overlooking the South Rim of the Grand Canyon and following dinner, enjoy an exclusive Native American dance performance. Discover one of the seven wonders of the natural world. Drive and walk along the South Rim with a naturalist guide - and be sure to take lots of photos! This is a family expedition you'll always remember. This afternoon comes with some grand choices! 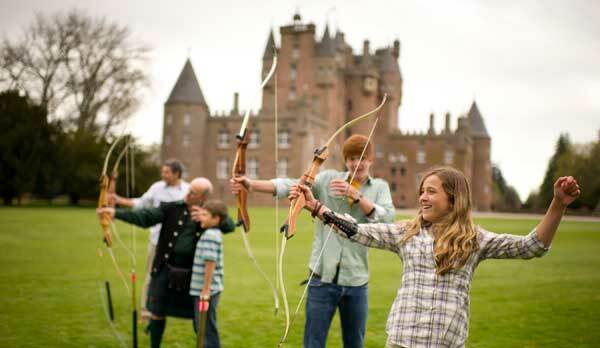 Get the family together and explore the area as you wish. Catch up and relive the day's adventures over a family meal at your leisure. Your Adventure Guides can recommend the perfect meal to cap off your colossal day! Quest into the wilderness across plains, mountains and mesas to this stunning valley, which was the backdrop to countless Hollywood Westerns. Nestled at the base of towering red cliffs, this trading post-turned-lodge boasts panoramic views, a Native American restaurant and a museum that includes a real movie set from a John Wayne film! Climb aboard your very own Navajo-guided, off-road adventure to the beautiful buttes and magical mesas of Monument Valley. See the secret corners of the Valley and marvel at the geological wonders! Take in the stunning scenery on the way to your fun-filled ranch-style lodge in a spectacular setting on the banks of the Colorado River. With teepees, tennis courts, a movie museum and a working winery, this is a one-of-a-kind playground for the whole family! Step into a surreal landscape dotted with sky-scraping sandstone land arches! Discover Arches National Park and hike to its crown jewel, the Delicate Arch. Learn the living geological history of a million years and marvel at mother nature's wild side. Enjoy a delicious lunch before climbing aboard a jet boat for a scenic cruise toward Canyonlands National Park. As you make your way down the winding Colorado River, the extraordinary landscape rises from the shoreline into the blue skies. Spend the day on your own with the family enjoying the lodge's many amenities. Enjoy lunch at the hotel and then ride down the Colorado River and along the beautiful landscape! Keep your eyes peeled for natural wonders as local experts lead you on an adventure. Kick up your heels at a fun-filled cookout on the banks of the Colorado River! Meet a real cowboy, chow down on some down-home cookin' and toast to all your newfound friends! Cap off your week-long adventure with a special surprise tribute to a week of fun, bonding and memories that you will cherish forever. Bid goodbye to all your fellow adventurers, and enjoy one last breakfast in the Wild West. Board private, pre-arranged transportation to Grand Junction, Colorado airport and wish your friends "happy trails" until you meet again!